Pharmacy technicians play an important role in the pharmacy. They receive and verify prescriptions for accuracy, measure, weigh, or pour the medication, package and label medications, and complete the billing and insurance claims. A pharmacist must check the package for errors and has the final word before the medication is dispensed to the customer. The pharmacy technician’s role has a direct effect on patients in community and hospital pharmacies, so safety, efficiency, and precision are as critical as excellent interpersonal skills, professionalism, and flexibility. Pharmacy technician programs support the development of technical skills in the areas of dosage calculations, pharmacology, pharmacy law, computer skills, medical insurance and billing, medical terminology, and reading and interpreting prescriptions. They are primarily offered at vocational schools, community colleges, online distance learning, and propriety schools. Generally, a high school diploma is the basic requirement for enrolling in the program and employment as a pharmacy technician. 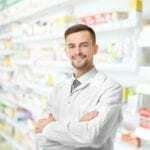 In community pharmacies, pharmacy technicians perform technical duties such as compounding medications, managing inventory and tracking medication and supply orders, following up with insurance companies, advising customers on the proper use of medications, and managing the dispensary and related duties. The Georgia Board of Pharmacy requires technicians to register with the Board. Registration should be submitted online. The Board does not require certification. However, many technicians complete the requirements for national certification to earn a credential that demonstrates their commitment to the profession. As of 2016, the Bureau of Labor Statistics estimated an annual mean wage of $29,450 for pharmacy technicians. The pharmacy technician program at Faks Allied Health equips students with the skills to dispense medications under the supervision of a pharmacist. Graduates will have the confidence to sit for a national certification exam and work in various pharmacy settings including community pharmacies, retail chains, hospitals, home infusion pharmacies, and long-term care. 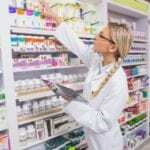 Students will learn how to receive and fill prescriptions, package and label medications, organize and stock inventory, maintain a sufficient supply of medication in the pharmacy, bill insurance companies, update electronic records, and practice within the legal and ethical guidelines for pharmacies. Use the contact information below to find out the class schedule and tuition. The Pharmacy Technology Program at West Georgia Technical College supports the development of skills and knowledge that will enable graduates to succeed as pharmacy technicians in various pharmacy settings. The program will include theory and practical instruction. Course topics include pharmacology, ethics and laws, medical terminology, pharmaceutical calculations, drugs and their effects on the human body, anatomy and physiology, pharmacy software, receiving and dispensing prescriptions, packaging and labeling, inventory, billing, and customer service. Students will participate in a clinical externship, which will give them the opportunity to put the didactic training into practice. The duration of the program is 50 weeks. Tuition for the program is $4,162. The cost does not include books and supplies. Students must cover the costs for the background check, drug screen, and other admission requirements. Clayton State University helps students acquire the professional credentials and job skills to qualify for employment as a pharmacy technician. The comprehensive program covers 75 contact hours of didactic and hands-on instruction. Course topics include dosage calculations, dosage conversions, IV flow rates, drug compounding, inventory control, reading and interpreting prescriptions, billing and reimbursement, medical terminology, defining drugs by generic and brand names, and infection control. At the program’s conclusion, students will understand basic pharmacology, the duties and responsibilities of a pharmacy technician and the guidelines for practice, how to classify drugs, the anatomy and physiology of the human body, and distinguish between trade and generic names of drugs. They will also be able to perform basic functions of inventory control, use the techniques related to aseptic, compounding, and parenteral dosage preparation, and perform the operations related to the packaging and labeling of medications. The hybrid program includes an online component for delivery of some of the theoretical content. Tuition costs $1,899 and does not include expenses for books and supplies. The Pharmacy Technology Diploma program at Atlantic Technical College provides adults with the knowledge and opportunities to develop the skills and attitudes to assume an entry-level position in a community or institutional pharmacy. Graduates will understand how to perform duties related to the preparation and distribution of drugs in accordance with laws and standard procedures and under the supervision of a pharmacist. They will also be eligible sit for a national certification exam to become a Certified Pharmacy Technician. The American Society of Health-Systems Pharmacists approved program includes clinical experiences designed to integrate theory and practice. Students will participate in the practicum 20 hours a week for a total of 450 hours. Course topics include structure and function of the human body, introduction to healthcare, medical terminology, introduction to computer literacy, pharmaceutical calculations, pharmacy technology fundamentals, principles of dispensing medications, principles of sterile medication preparation, pharmacology, and advanced pharmacy technician principles. Graduation requires completion of 56 hours. Tuition for the program is $7,229 and does not include the cost of textbooks, supplies, CPR, physical exam, TB test, and other admission costs. Southern Crescent Technical College facilitates a pharmacy technician degree program that provides adults with the skills to succeed in a retail or hospital-based pharmacy. Graduates are prepared for success on a national certification exam to become a Certified Pharmacy Technician. Graduation requires completion of 65 credit hours. Day and evening schedules are available. The minimum length for completing the program is 6 terms. Course topics include anatomy and physiology, introduction to health care, medical terminology, pharmaceutical calculations, pharmacy technology fundamentals, pharmacology, principles of dispensing medications, sterile medication preparation, and advanced pharmacy technology principles. Tuition costs $1,419 per semester for 12 credits. Additional costs include medical and clinical requirements, student lab fee, scrubs and lab jackets, background check, liability insurance, Board of Pharmacy registration, national certification application fee, and graduation fees. The 65-hour certificate program at Kennesaw State University prepares students for success on the Pharmacy Technician Certification Exam. The program is offered in a hybrid format so students must have a basic understanding of computers. 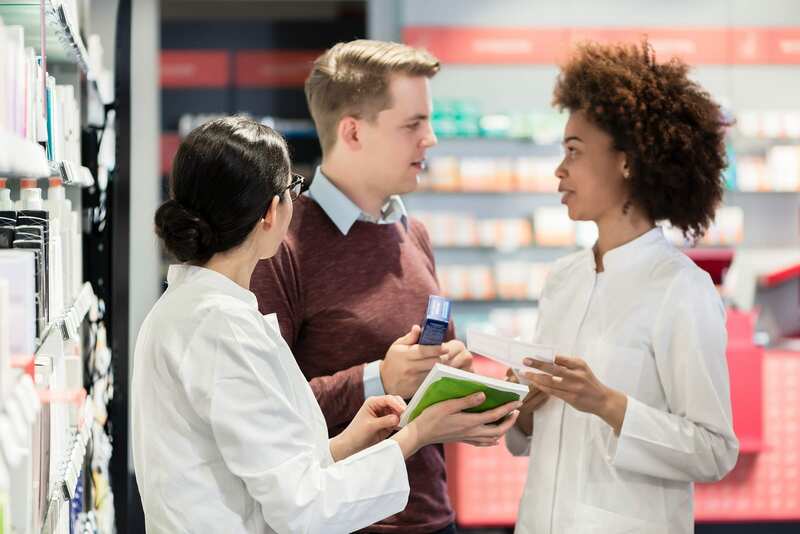 Students learn how to assist licensed pharmacists in the distribution of medication and medical devices, receive and prepare prescriptions, communicate with physicians and insurance companies, attend to customer service issues, and manage HIPAA security and privacy. Hands-on training will include dosage forms and calculations, prescription processing, over-the-counter medications, pharmacy laws and ethics, and drug information references. The program admits new students in February and August. Students will complete the requirements in 26 sessions. Tuition for the program costs $1,799. The cost of textbooks, supplies, and fees are not included. Financial aid options include Workforce Investment Act, Continuing Education Loans, Military Education Benefits, Employer Education Vouchers, and MyCAA.